If you have lost a tooth and have been left with a gap, we will create a natural and resilient dental bridge to fill the space and replenish your smile. At Derwent Street Dental Practice, we want our patients to feel happy and secure when smiling, and we understand how a lost tooth can affect your confidence. Dental bridges have been used by dentists for a number of years to replace missing teeth. An artificial tooth (also called a pontic) ‘bridges’ the gap that is created by a missing tooth. It is held in place on either side by crowns which are cemented to the adjacent natural teeth. A bridge looks and feels just like a natural tooth and can last for many years if cared for properly. Replacing missing teeth is not only important to improve your confidence, it helps to restore full function – making it easier to eat and chew again. If you have lost a tooth, we can fill the gap over the course of two to three appointments. 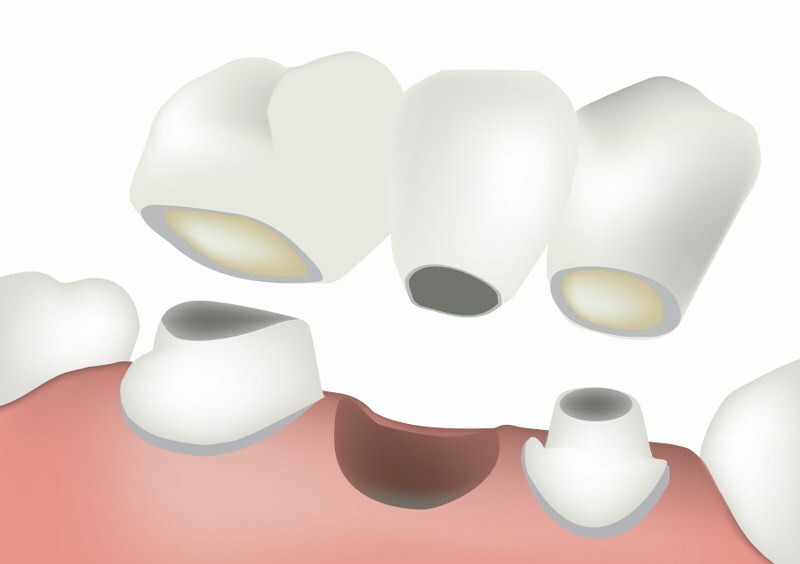 At the start of treatment, the adjacent teeth will be prepared for the crowns. We will then take impressions of your teeth so that we can have the crowns and bridge created in our laboratory. At the next appointment, the crowns will be cemented to your adjacent supporting teeth and the bridge will be fixed into place.